The Cole Clark Fat Lady 2EC in Blackwood Blackwood model is a beauty. The all-solid blackwood body construction means this guitar not only looks amazing but is built to last the test of time. Blackwood is typically one of the strongest timbers used on the tops of guitars which means this guitar is more suitable for tapping and percussive guitar players. The Blackwood not only sounds great but on this Cole Clark FL2EC, it also looks amazing. 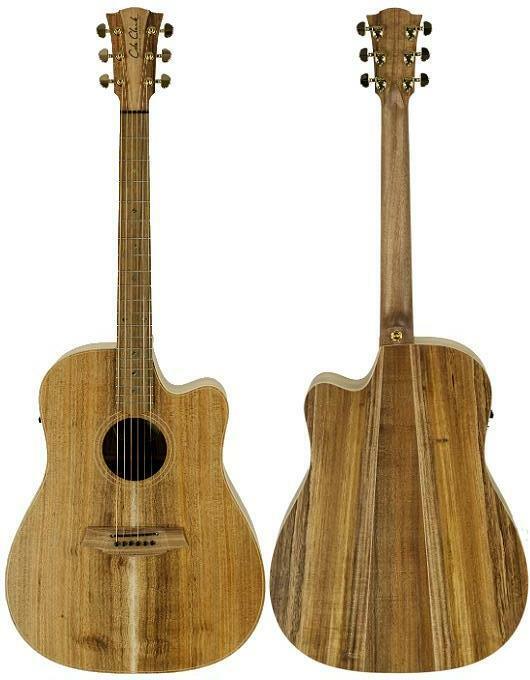 Being part of the Australian Eco Series, this particular Cole Clark Guitar uses all Australian timber which means that the timber is sustainable. Another reason why Haworth Music love our friends at Cole Clark Guitars. This Cole Clark FL2EC in Blackwood Blackwood also comes with Cole Clark's signature 3-way preamp system which means that when amplified this guitar really sings. The face sensor is great for percussive tones and when combined with the piezo and condenser microphone, the guitar is on a whole new level. At Haworth Guitars, we cannot keep enough of the FL2EC Blackwood Blackwood in stock as it's one of our more popular models which we highly recommend for the customer who's looking for a high-quality acoustic guitar.